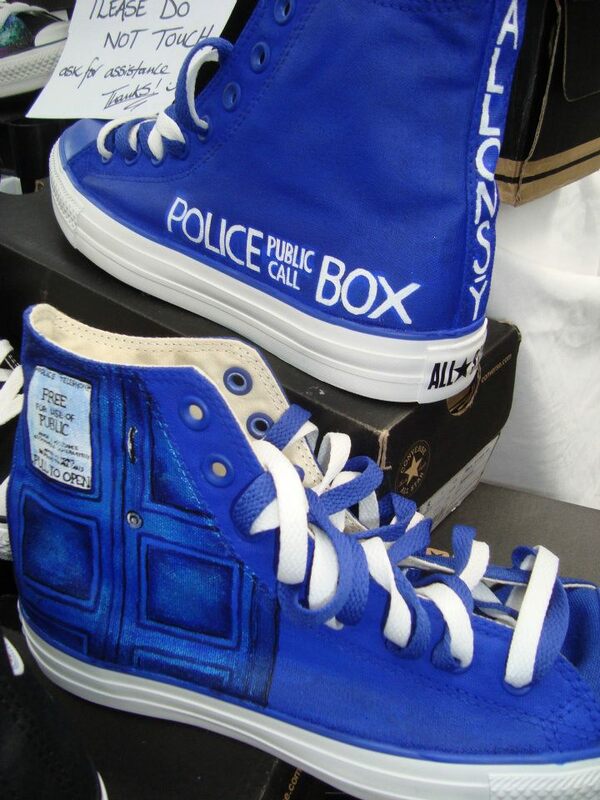 Have you ever sat around and asked yourself how much of a better place the world would be if somebody would mass produce TARDIS shoes? 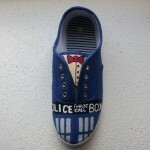 Me neither, but I am not usually one to daydream about stuff that has no chance of happening. 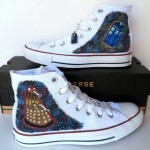 Well, if you want some TARDIS shoes, you will have to make yourself a pair like these! 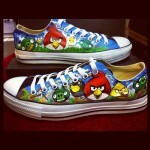 UPDATE: These shoes were created by the company Canvas Warriors who creates hand-painted custom Converse shoes like these. 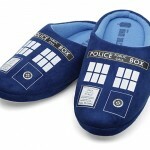 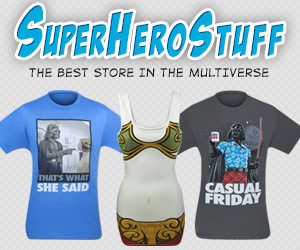 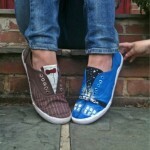 You can check out more of their Doctor Who themed shoes here.